The moment has come. You are making plans for your child to attend boarding school. It’s exciting, terrifying, and more than likely, stressful. You may find yourself with a long list of practical decisions and necessary logistics, such as choosing which school to send your student and how to pay for the education; completing applications; determining how to transport your child to the school; figuring out which clothing and other items your student will need…the list goes on. These questions, choices, and steps are important, and are meant to prepare your child for the best possible educational experience. But these factors are only the beginning of your child’s journey. The most important step comes after all the initial pieces have fallen into place. I’m talking about your child embracing day-to-day life as a boarding school student. In my experience as a psychology instructor and young adult coach, there is one vital component often overlooked by parents when considering their child’s success at boarding school: healthy inner skills for managing stress. More often than not, students who fail classes haven’t cultivated positive tools for managing life’s ups and downs, those curveballs and challenges that come with the complex, multi-faceted experience of being a human with expanding responsibilities. I’ve been “adulting” for over a quarter of a century and still have to practice—daily—small acts that I know strengthen my own coping capacity. As a parent of a teenager, and as an educator who works with students on a daily basis, I know we seek more than just the right physical environment and effective study skills for our kids. We want them to be _________. Fill in the blank with your choice of words. Happy? Successful? Comfortable? Supported? Challenged? There is much we desire for them. And one of the greatest things we can give our children are tools to scaffold their journey to full independence, and to a life filled with all those adjectives we used to complete that meaningful sentence above. I often envision adolescence—the neurological time period between 12 and 25 years—as a bridge. A bridge that links childhood with full-fledged adulthood. The time spent crossing the bridge provides a vital opportunity to learn, prepare, and grow in ways that can make significant differences across the lifespan. Neuroscience tells us the brain doesn’t stop developing until about 25 years of age, and adolescence is one of the most sensitive periods for shaping and changing the brain. The experiences and thoughts of a young person during this time play a large role in “wiring” the way the brain processes and responds to stress, challenge, and opportunity. Thankfully, the brain is malleable throughout life, but adolescence provides a uniquely salient time for creating and honing positive inner habits that last. As parents, how do we begin? How do we make the most of this significant opportunity, and ensure our kids are prepared to set off on their own—not just physically, but psychologically? We can’t take the walk for them. We can’t protect them from every bump in the road, and truly we wouldn’t want to—those bumps provide adolescents with opportunities to strengthen skills and gain insight into how competent and capable they are. However, we can send our kids into the world with some seeds and the means to nurture them. Begin the conversation. 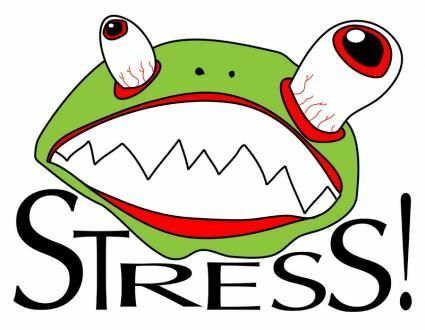 Ask your son or daughter what their typical level of stress is on a scale of 1 to 5. Don’t push them to share more than the number; rather, provide a comfortable space to do so, if they would like. Then listen. This can give you a sense of how big a role stress plays in their life. Ask questions and share experiences. Ask your child how he or she manages stress, and then share your own experiences with stress. Focus on your student’s self-care techniques. Healthy coping skills are those that build a sense of continuous well-being, confidence, empathy, and happiness, rather than those that merely provide a momentary escape. Again, listen. Ask if your child feels they need, or would like, to learn new ways to manage their stress. If so, suggest that perhaps you explore some strategies together. Research Mindfulness. It’s my number one go-to for myself and when teaching others. There are evidence-based studies to support that mindfulness can reshape the brain for greater focus, less reactivity, and an increased sense of calm. It’s a part of my curriculum, and I’ve had students tell me the practice of mindfulness has changed their lives. Consult the book Altered Traits by neuroscientist Richard Davidson and psychologist Daniel Goleman. Try this brief mindful breathing exercise I created for my students: https://goo.gl/FH6D25. Dedicate a jar or vase for leaving small notes of gratitude to be read at a designated time. Suggest the whole family download a smartphone gratitude app for use as a more personal practice. Encourage composing gratitude texts, emails, or letters, expressing thankfulness to special people. Model this by writing one to your child. And then read it to him or her or slip it in his or her bedroom to find. 5. Watch this short video. Watch this informative video and use it as a conversation starter: https://goo.gl/Xyk2Re.The video shows how each of us has the capacity for compassion and generosity, and conversely, the capacity for fear and anger. Ultimately, we choose which aspect to strengthen. Such strengthening comes through practicing skills, which then become habits, and finally are woven into the very fiber of who we are. Though I’ve named this tip last, it is a good place to start the journey because it provides deep purpose to the remaining steps. I could go on speaking about this topic for a very long time, just ask my students, and my son. However, I strongly believe that what must come first is the recognition that stress is a part of life, and learning to manage it well is a worthwhile endeavor. When I ask my students what causes them stress, they name the very things that make up their lives: school, family, friends. They recognize that they don’t want to, and can’t, rid of everything they perceive as stressful. We can’t shield our children from experiencing stress. What we can do, as parents, is encourage and model the ability to develop and grow in the midst of what is challenging. We can help our students realize that stress management is a skill, just like note-taking and time-management. But these are the skills that not only make boarding school, relationships, and life more meaningful, they are the very ones that make us who we are. Ultimately, we can’t control the path our children choose in life, but we can dedicate time and space now to help pave their way, from the inside. To learn more about Tracy Carreon, Global Academic Consultants’ Success Skills Coach, and how she can assist your child in developing success skills, please visit http://www.tracycarreon.comor http://www.globalacademics.us.